With the continuing battle over transgender people in the military; One famous crossdressing television character has been repeatedly memed by people debating the issue, Corporal Maxwell Q. Klinger from Toledo, OH. I am not going to debate the issue of the transgender ban. I think it’s pretty unanimous where we all stand. I am a daughter of two Army Sargents and good friends with a handful of transgender people who have served in the military. It is clearly a transphobic policy that needs to be overturned. 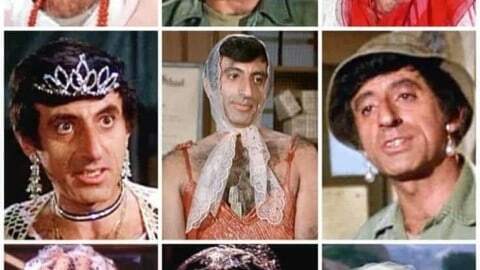 What I want to focus on are these questions: Was Klinger a positive transgender character? 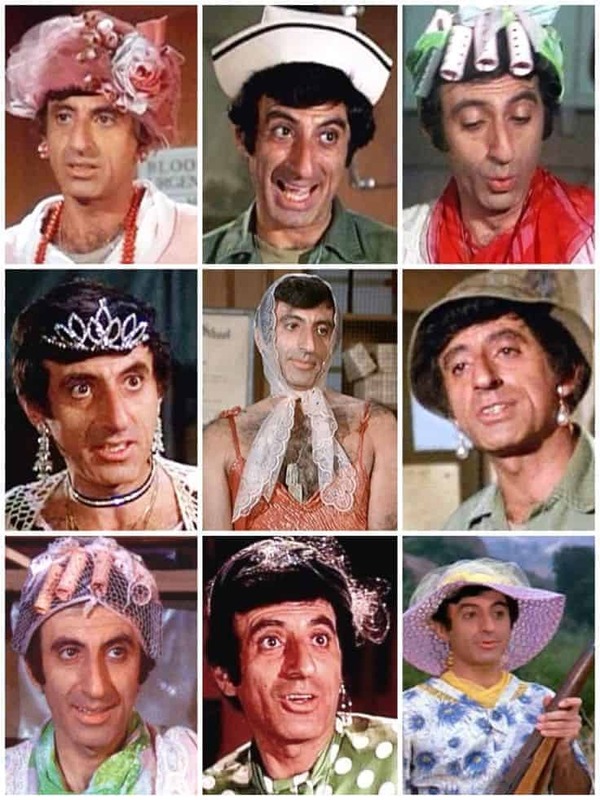 Should we consider Klinger a transgender character? Let me start with some personal background. I love MASH! I grew up with MASH. It was on all the time. When I started watching it, it was on all three networks with new episodes coming on every week. I loved all the characters. The one character on the show that I was linked to by fate was Klinger. The fact that the actor’s name, Jamie Farr, is similar to mine did not escape my attention or my classmates’ either. 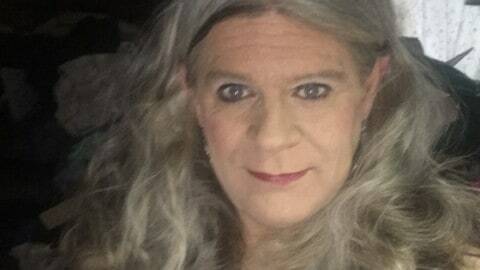 I was teased about being a crossdresser, because of our names. Even with the teasing, I love Klinger. I rooted for him to finally get a discharge from the Army that he desperately wanted. How did Klinger come to be? According to Jamie Farr, it was inspired by a prank that comedian Lenny Bruce did when he was in the Coast Guard. The writer thought it would be funny to have a soldier trying to get out of the Army by wearing dresses all the time. So, it was not really the most progressive motivation to create the character. First episode Klinger appeared in was the fourth episode of the series called “Chief Surgeon Who”. He is first seen on guard duty stopping a visiting general. The General recognized him as the guy who is trying to get out of the Army by wearing dresses. The General challenge Klinger by telling him, “You need to do better than that!” To which Klinger calls The General “Mary” and skips away. It’s been recounted numerous times that this scene had to be reshot. The director told Jamie Farr to play the character as stereotypically gay. It’s not too surprising since this episode has a handful of homophobic moments. Fortunately, the producers reshot the scene using Jamie Farr’s suggestion of playing Klinger as a straight guy in a dress. Klinger is in one more scene in the episode. He intentionally goes out of the way to confront The General. This time, he is completely naked. Hawkeye and Trapper looks dismayed and suggests to Klinger to put on a dress or at least a slip. This last scene shows how much of a nonfactor his crossdressing is to the rest of the camp. I feel this episode shows that even though he is wearing dresses to get out of the Army. He has fully embraced wearing women’s clothes. Going so far to actually getting married en femme. This episode makes the case that Klinger is transgender. In Season 5 episode Bug Out, Klinger admitted to Col. Potter that he have been collecting women’s clothes before he even joined the Army. In Season 6, Klinger gets a letter from his wife wanting a divorce. Nobody in the camp believes him, because they think it’s another fake sob story to get a discharge. To which, Klinger rips off his dress in front of everybody, he tells them, “The dress is a lie. The divorce is the truth.” Klinger almost goes AWOL. When he comes back to camp, he tells Col. Potter, “Under all these feathers and laces beat a heart of a real man.” At the end of the episode, Klinger is back in a dress drinking with his friends. He emphasized repeatedly, in this episode, that he is a man. He still wears dresses. Even though, everybody knows it’s a stunt. It’s obvious, he feels more comfortable in women’s clothes than he does wearing the uniform. By Season 8, they unceremoniously had Klinger stop wearing dresses. However, you did see him in nightgowns and fur coats. Which seems to indicate that he stops wearing dresses to get out of the Army, but still had women accessories that he wears. In the later years of the show, they were expanding and deepening their main characters. Even minor characters like Nurse Kellye got her own episode. Considering, it was the late 70’s and early 80’s. MASH was a popular mainstream TV show. If they explicitly made Klinger a serious crossdresser or a transitioning transgender woman, it would have been too controversial for the times. Seeing Klinger wearing Army fatigues seems like a betrayal to the character. Klinger never backs down from a challenge, as he demonstrated in his very first episode. He abandoned other schemes to get out of the Army, but always kept coming back to wearing dresses. He has demonstrated some affinity for women’s clothes. Even though, it is not mentioned in the show. It wouldn’t be surprising that he was underdressing while wearing the fatigues. How did it end for Klinger? In the series finale, he gets married to a woman that he first met in the previous episode. Klinger tells Soon-Lee that he used to wear dresses to get out of the Army. She responded, “Oh good. I always want to see you in one.” (How awesome is that!) The reason Klinger mentioned that is because he admitted that he still have these dresses. He wanted to give Soon-Lee the wedding dress he wore when he got married the first time. As a way to tell her that he wants to marry her. It wasn’t the intentions of the writers and producers of MASH to create an iconic and relatable transgender character. Klinger exhibited all the things a crossdresser would do. Including, purging his feminine clothes. With an understanding wife like Soon-Lee, it’s not difficult to imagine that after the war. Klinger will wear dresses around the house, at costume parties, and any other excuse he could come up with to wear his feathers and lace. Corporal Maxwell Q. Klinger served his country honorably and heroically. He looked fabulous doing it. I started my gender journey about a year and a half ago. After hitting an emotional rock bottom, I was forced to confront who I was. 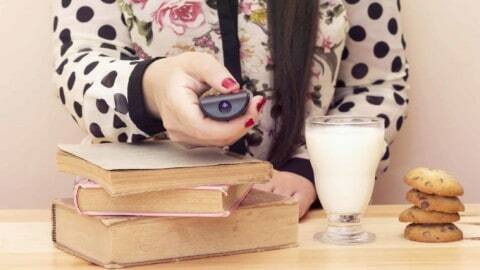 It not only saved my life. I am finally at peace with myself. 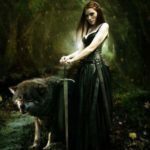 Not everything about transitioning have been easy, it is challenge that I am looking forward to dealing with. Now, I am looking forward expanding myself in areas I have let slide, because of my struggles. One area is writing and performing more. 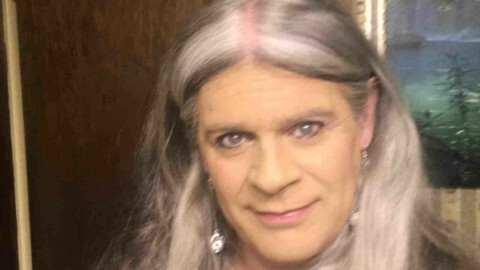 My current project is a comedic one-woman show about transitioning in your middle age. 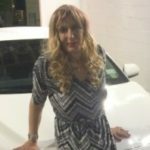 While working on that, I am performing comedy around Las Vegas and writing for Transgender Heaven and Crossdresser Heaven. I am looking forward to sharing what I have been keeping away from everybody for too long. Thank you, Jaime. I love the show and still watch it time to time on TVLand. Klinger has some great lines in the show. I really enjoyed the show from the movie to the final episode and never realized so many things about Corporal Klinger. I too thought he was a quick and easy laugh but I guess the writers of the show really knew how to make a great story. 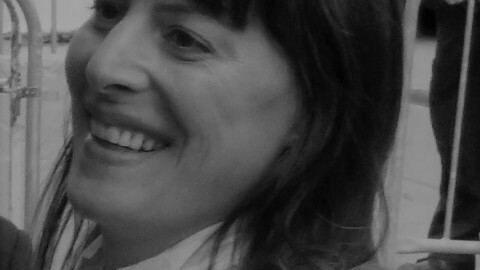 Thank you Jamie for bringing all of that to us. Thanks Jaime! You brought an very interesting perspective to a character that is beloved by many. So glad to see that a character like Klinger is an inspiration to be oneself. Great job!